More than Tokyo. Focused on Japanese pop culture, Japanese collectible culture, anime, science fiction, and other interesting things. I was pretty excited to try out this keema curry cup of noodles which is a Cup Noodle 45th Anniversary Limited Memorial Item. Their promo materials indicate that it has a rich aroma of spice and curry soup which melds meat and vegetable umami together along with their mystery nano meat cubes. I like Japanese curry cup noodles in general, and the regular Nissin Curry Cup Noodle is a favourite of mine. Awhile back I had the joy of tasting their Butter Chicken Curry Cup Noodle too and it is nice to try out some variety. Other than keema being an Indian curry, I didn't know much about it and had to do some web searching. Keema is ground meat and a Keema Curry is ground meat, minced vegetables, curry powder and other spices. It seems to have intense aromas from the spice mix and the meat blending together. Japanese curries tend to be more like thick curry stews of veggies and meat so a keema curry is a great fit. Keema Curry Cup Noodle comes in a very nicely decorated cup. Background graphics on the cup utilize Indian weaving motifs that give a nice exotic feel to the packaging. The color scheme of the the cup uses a lot of black, brown, dull red, yellow, and there is a bit of blue for delicate highlights. The standard CURRY text from regular Curry Cup Noodle is in its normal bold yellow lettering but the edging is in dark brown. Keema is in big green lettering to let you know this is different, but the Indian elephant above it that is wearing traditional Indian decorations is a good giveaway too. A curry boat for pouring curry sauce shows the thanks for 45 years of cup noodle at the top. The lid of the cup with ingredients and manufacturing information. They emphasize the nano mystery meat (really a type of ground pork cube). Front view of the cup. Some warnings like do not microwave. Nutritional information showing 17.5 grams of fat, more or less regular cup noodle. Manufacturing information and allergen info. The inside of the cup. You can see plenty of curry roux powders, green onions, red pepper, and the little nano blocks of meat. Smelled nicely of curry. I added boiling water, closed the lid for 3 minutes or so, then peeled it off. The rehydrated curry broth and ingredients actually look pretty nice in this shot. I stirred it well to make sure all of the curry roux was dissolved. After re-hydrating, the curry smelled pretty delicious. Good curry and spice aromas coming from the cup. The soup is a little darker than their regular curry with a similar thicker consistency, and the noodles look to be roughly the same type as in the regular curry cup noodle. These noodles are thin in thickness and broad. A first taste of the curry soup confirmed that there was definitely more spice in this deeper and richer tasting curry. It wasn't hotter but more intensely flavourful. The little pieces of ground meat went very nicely with it and this was a very good curry soup. This is one that I would certainly have again. Closeup of nano cubes and noodles. Follow me on Twitter a @Tostzilla or my feedburner for this blog. More cup noodle / instant ramen reviews and Japanese pop culture. A fan of science fiction, anime, new technology, good food, and travel. 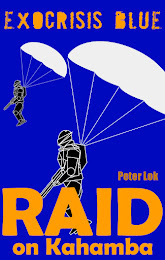 Action packed mecha and military SF crossover! 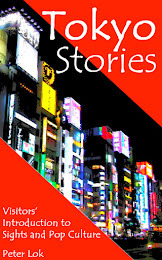 My Travelogue Post To The Yokohama Nissin and Ramen Museums. Retro Tokyo Mini-Theme Park (Showa Era) at the Decks in Odaiba with Takoyaki Too!